President of the Dominica Nurses Association has refuted claims that it is assisting or facilitating recruitment of nurses for regional and international jobs. 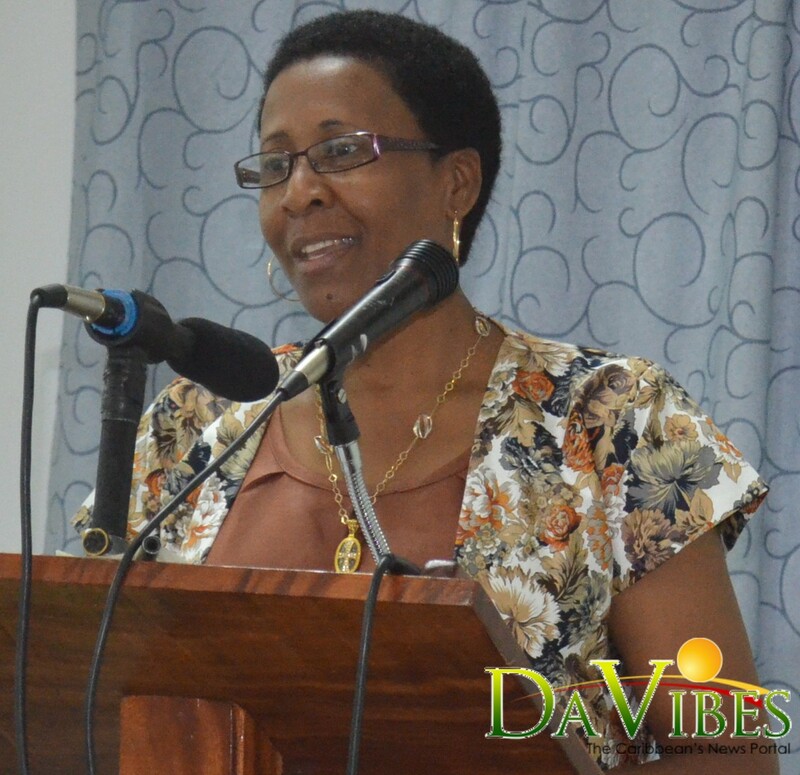 President of the Association, Nurse Rosie Felix said the executive is also concerned about the manner in which Health Minister, Dr. Kenneth Darroux referred to its leadership during the recent sitting of Parliament. The Executive of the Dominica Nurses Association (DNA) is disturbed about distasteful and false statements and accusations made about their organization, and more specifically its leadership, by the Honourable Minister of Health and Social Services – Dr Kenneth Darroux, in the Dominica Parliament on July 30, 2018. In his contribution to the Annual National Budget, Dr Darroux accused the leadership of the Association of encouraging nurses to leave Dominica for overseas employment; he questioned the professional status of the DNA leadership stating that ‘their’ minds and hands are idle and went on to suggest what work ‘they’ should be engaged in. This is the second time the Minister has referred to the leadership of the DNA in unsavory and undignified terms. England for a finder’s fee” and of constantly posting adverts “to recruit nurses in a nurses group”. are all false, unsubstantiated and baseless. The DNA Executive, including its President, is shocked and totally denies that these statements or inferences were published at all, as neither the DNA Executive nor its President has had any contact, directly or indirectly, now or in the past, with any recruiting agency. No nurse recruiting agency has made any contact with the Executive or its President with a view to soliciting their assistance in the recruitment of nurses. The DNA President categorically declares that she has never posted any link to any nurse recruiting agency on the Association’s facebook page, in nurses groups or on her personal facebook page. For several years now, the Dominica Nurses Association has been advocating tirelessly for government to reverse the factors that trigger or contribute to nurses leaving the public service and thereby arrest the escalating nurse migration and health sector crisis. Any action or attempt by the leadership of DNA to export or facilitate the export of nurses would not only be contradictory to the Association’s nurse retention efforts but would be a betrayal of our professionalism, patriotism and the citizens of Dominica. In view of the above, the DNA Executive, including its President, requests that the Honourable Minister of Health – Dr Kenneth Darroux, Mr. Curtis John and any other person or group who may have engaged in publishing these or similar statements immediately refrain from further publication of these false, baseless and damaging statements. If these publications continue, the DNA Executive and/or its President will have no reasonable alternative other than to pursue legal action for redress. reference to salary scale upgrade for nurses. It is time the Minister identifies and calls out the real recruiter of Dominica nurses for overseas employment; it is undoubtedly the unattractive conditions of work, which include very low salaries, workplace bullying, stretched human resource and unsafe and oppressive work environments. These conditions, not unsurprisingly, give our nurses no joy in work and no incentive to stay to care for our citizens. In fact, these conditions drive them away. What is the Honourable Minister of Health and the Government of Dominica willing to do to encourage nurses to stay? Let’s be honest…… Let’s see……. I’m not sure what’s going on here but this certainly sounds political to me. I believe the president of the DNA has an ax to grind with the government and can not work with this administration due to her political bias. She may not have posted anything on her Facebook but I’m pretty sure she is encouraging her nurses in private to leave for better opportunities. I would mostly be shocked if there is some secret finders fee. Dominica politics…….. Improving health sector. Are u for real? Do u live in the same country that I live? Oh boy! Some people are unbelievable. Her so called alleged antagonism to the government, according to u, is that the issue here. You are completely blinded by the real issue here. By saying we have an improved health system is misleading. I could go on but to blinded and bewitched people like u, it does not make sense. Enjoy yourself in utopia. What efforts should the government be commended for regarding the health sector? Many people still have to travel overseas for health care. The hospital is a mess. Let’s be honest. The state of health care here leaves much to be desired. Furthermore, the President of the DNA represents nurses first and foremost. Considering the terrible conditions our nurses endure and the less than satisfactory pay they get, there is still a lot to be done. But of course, anyone who is dissatisfied with the workings of this government – or lack thereof- is targeted. Go figure.